If you have RM500,000 in Malaysia, which would you buy? 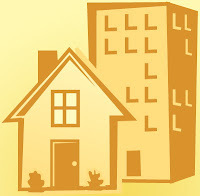 Landed property home or condominium? Let’s assume location is the same, then I will fall back to the purpose of the property being purchased. Personally, I feel if the property is purchased for own stay its better to go for landed property. Own stay means long term and landed property will appreciate better as compared to condominium. Condominium will get old over time and the facilities become run down hence reducing its value. Landed property home will also get old but the land below will appreciate over time. Landed property home also has more privacy. 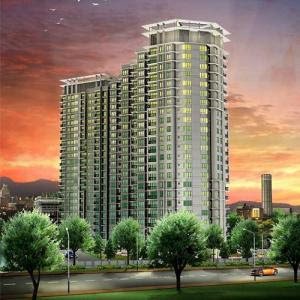 If the property is for investment, I think condominium is a better choice. 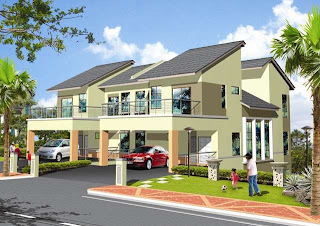 Generally, condominium is easier to rent out than landed property home. Also the rental returns for condominium is higher. Furthermore, managing a condominium is less hassle as maintenance is taken care by the developer. Read article below for better illustration. Landed property, usually referring to houses (bungalows, semi-D, terrace houses), have long been properties favored by various investors over the course of time. Despite the competition form high-rise strata properties, the market for landed property continues to grow in good health, for now, as well as for the years to come in Malaysia. Why own a Landed property? When one buys a landed property, they not only get the house, but the whole piece of land which the house is built on as well. The freedom of owning a piece of land is one of the main reasons for these buyers. The spare land areas could be used to improve their living, such as landscaping it into a beautiful front yard garden, or turn it into a productive backyard mini-orchard, or just make it into a recreational space for the children and house pets-whatever that floats the owner's boat. From an investor's point of view however, one can see that landed property tends to appreciate better in the long term, compared to high-rise properties. A house on a land bought by your grandfather 60 years ago at RM200K might cost about double or triple the price today, depending on its location. The main reason - land tends to grow scarce in times to come, as development and resident population quickly catches up. Thus, the larger the population, the more rapid the development, the more expensive prime land costs. Not to mention, the cost to reuse former high-rise land will always be higher than the cost to reuse lands that once were landed property (houses or structure less than 2 or 3-storey high). However, it doesn't matter if you're a house buyer or an investor. It is common knowledge that the property life expectancy of a landed property will definitely outlived those of a high-rise property. A condominium or an apartment will see its value depreciate after a certain period of time (usually when it is no longer new, or safe to live in), while a landed property will still have its land’s value, which will rarely depreciate over time. From these reasons, we can see why some people, even if they have the means, choose to buy a terrace in Cheras, but not a luxury condominium around Mont Kiara. However, a landed property will have its own problems as well. Perimeter security is the strong point for most high-rise properties, particularly lifestyle or resort-style living condominiums found in areas such as Mont Kiara and Damansara. This is one factor that landed properties usually lack, unless it is a gated and guarded community. Even so, most of the gated communities are formed and hired by the residents themselves, whereas security features in condominiums came along with the whole package. Not to mention, the levels of security in a high-rise property is usually stricter than that of a landed property, the latter being harder to manage. Maintenance is another factor. For a condominium, a fixed visible sum of maintenance fees is usually needed every once in a month or so to keep up the maintenance of the property, which will also include the facilities: gym, garden, swimming pool etc. aside from any external or internal repairs (sewage system etc). For one's own landed property, there is no need for maintenance fees, but the owner will have to make sure all the maintenance are done on their own - the garden yard, the pipes and sewage system. But then again, the maintenance for a condominium will always be higher than that of a landed property itself. All in all, it finally falls to each person's lifestyle and preference if it comes to deciding for a home between a landed or a high-rise. However, if it is for investment purposes, more research will need to be done to see which type of investment will be more worthy - if it is on the land itself, a landed property will do good; but if it is on tenant rental collection, high-rise (apartments esp.) are most popular among renters for their lesser entry fee and deposit. Thank you guys, for your comments. Condominium can be a fantastic investment depending on its location. Search and you will find. Blogs are good for every one where we get lots of information for real estates. And property investment! Let's do it.